The State of Alabama has become a place full of sad, tragic and atrocious stories of how poorly Latinos are treated there since that state passed its state immigration law. The case of Carmen Velez is one of them. Born and raised in Puerto Rico, she moved to Alabama to have a new life for her and her family. One day, while going to the state facility for motor vehicles where she lives to buy a car sticker, she was told that her Puerto Rican birth certificates were not acceptable and that she should produce an “American” birth certificate. She was dumbfounded. Puerto Rico is a part of the United States, and that all Puerto Ricans are U.S. citizens. Velez explained this to the official at the motor vehicles facility, but the official did not care. Velez was then asked to produce an “Alabama” identification card, like a driver’s license. Velez produced one, and the official consulted with her manager for over two hours before finally giving a car sticker to Velez. The official then said that next year Velez had better have an “American” birth certificate. This story has been verified by the Southern Poverty Law Center. One has to wonder what kind of sick, racist lunkheads run the Alabama Department of Motor Vehicles not to know that Puerto Ricans are U.S. citizens? 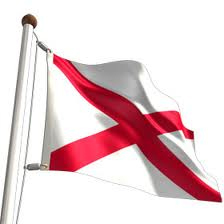 Of course, I can safely ask that question of all the legislators and of Alabama Governor Robert Bentley who passed and signed this state immigration law. There is no question that this law has created an open witch hunt season on the undocumented (especially if they look Latino), Latinos, and yes U.S. citizens (especially if they look Latino). When asked about the incident with Carmen Velez, Alabama Republican State Representative Micky Hammon, in one of the most bizarre statements ever given by a state official, said that if she had been Cuban and swam to Puerto Rico, where she was able to gain a Puerto Rican birth certificate, could have then been able to come to the United States where she and others like her could “spread Communism.” Therefore, Alabama’s state immigration has helped to not only “get rid of the illegals” but stop the “spread of Communism.” I have to wonder what planet this person is coming from, and what the mentality of the other legislators are? If they cannot accept the fact that Puerto Ricans are U.S. citizens, and therefore under the full protections and rights of the U.S. Constitution, then it is all too clear that no one is safe in Alabama. Even though Arizona’s state immigration law was largely struck down by the U.S. Supreme Court, the problem remains that Alabama’s state government steadfastly is keeping its state immigration law. But if Puerto Ricans are not safe in the state, then it is clearly war against Puerto Ricans. Worse, it is war against anyone who looks “Latino” and has provided a new basis for legal discrimination that we all thought ended back in the 1960’s when the Jim Crow laws were struck down. One really dark cloud is that if Mitt Romney is elected president, he may support any and all state immigration laws even those that may have been struck down by the U.S. Supreme Court. Early in his campaign he said he would do so. Will he do so, even if the U.S. Supreme Court says other wise? This may be only the beginning of the war agaiunst Puerto Ricans, and against all Latinos.